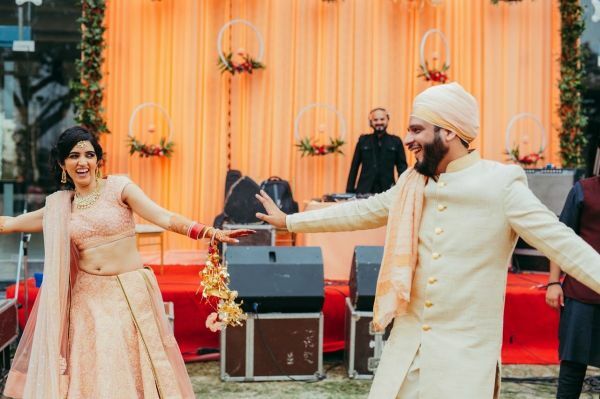 Childhood Friends To Lifelong Partners - This Delhi Wedding Was All Kinds Of Adorable! 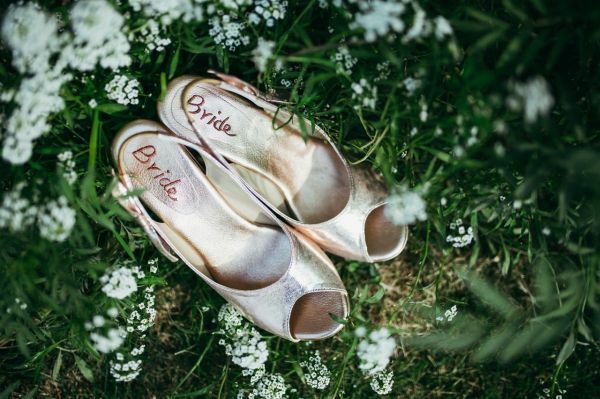 There is something special about bright sunny mornings and weddings. 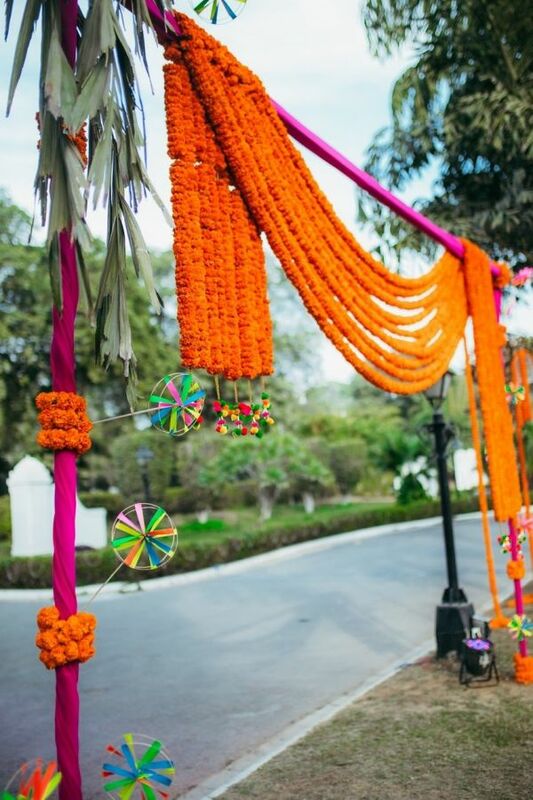 We know that most Indian weddings are usually associated with an evening function, with lots of lights and flowers and everything, but there is an air of elegance around day weddings. 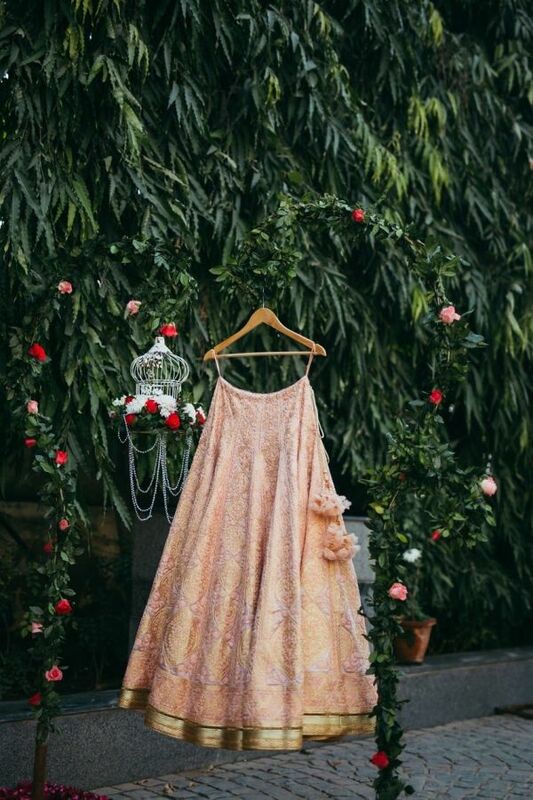 The floral decorations stand out more vividly, outfits look prettier and let’s not even talk about how gorgeous the pictures turn out to be. 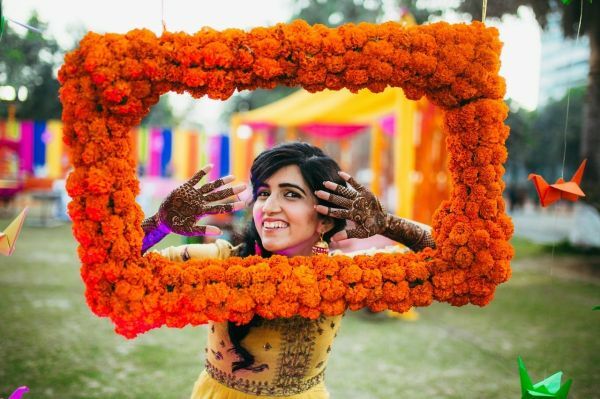 Pallavi and Ayush’s beautiful day wedding in Delhi proves that everything we just said is true! 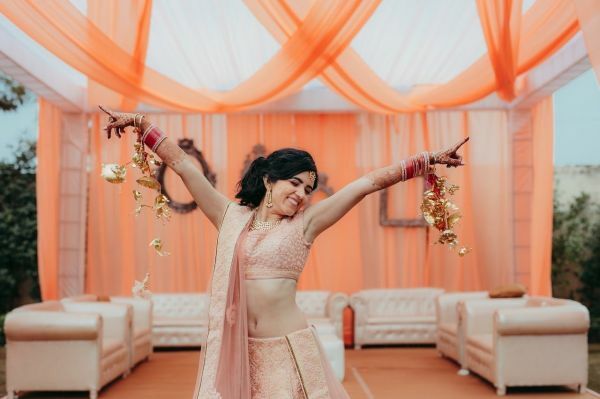 Shot by PhotozAapki, you’ve got to check out the photos. 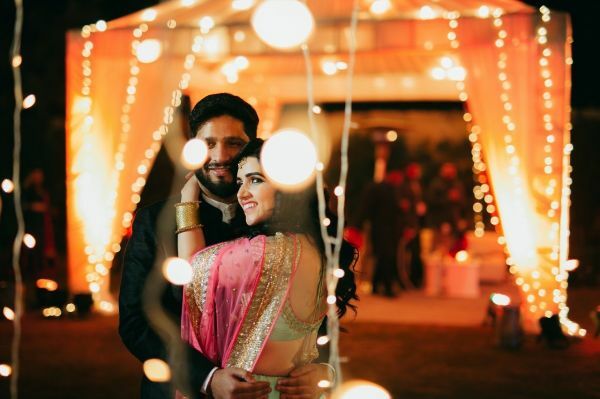 Best friends and childhood sweethearts, Pallavi and Ayush have the sweetest love story. 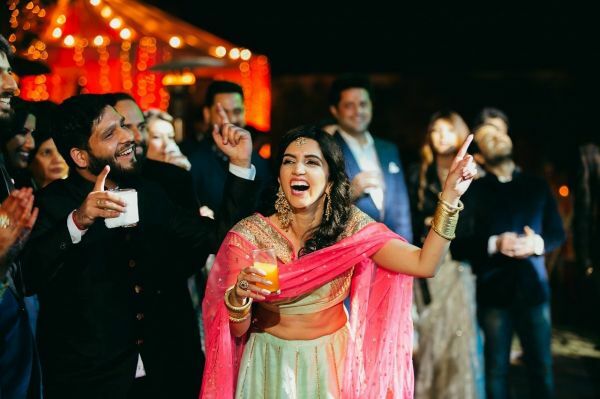 On the occasion of their wedding, Pallavi happily revealed her love story in short. “Ayush and I have been best friends since we were 12 years old!! 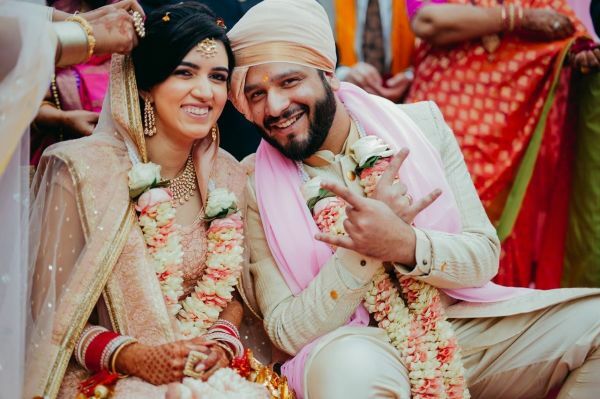 And having known each other for more than half our lives and being together for a large chunk of it... We were really looking forward to this day,” she shares. We would be looking forward to ‘that’ moment too, if we were her. Now that you know their story, let’s get on with the pictures of the wedding functions. Love her tassel earrings? 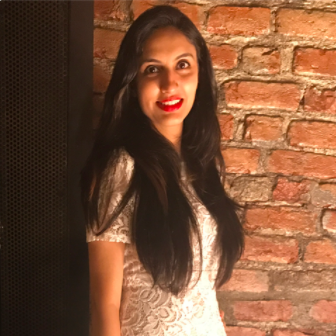 Buy similar ones on Myntra for Rs 799! 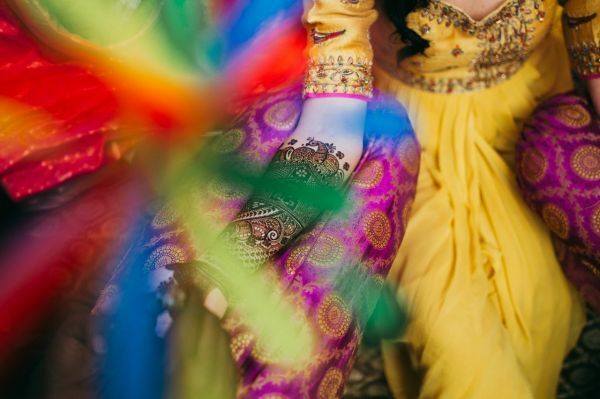 Yellow is such a bright and beautiful colour for the mehendi ceremony! 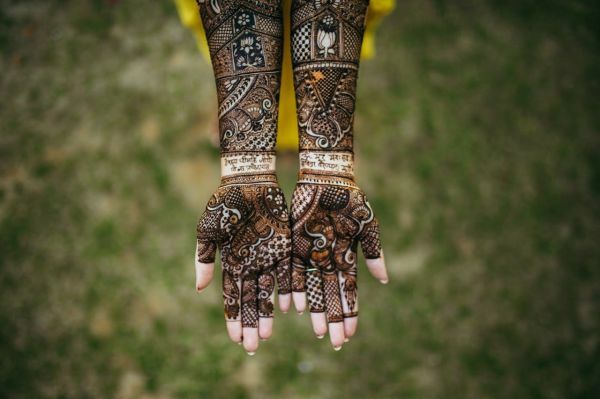 Have a mehendi ceremony to attend? This pretty yellow kurta we found on Myntra for Rs 2,599 is just perfect for the occasion! You can get a similar pinwheel decor for your room too! Just buy this paper pinwheel set from Amazon for Rs 799 and start decorating! 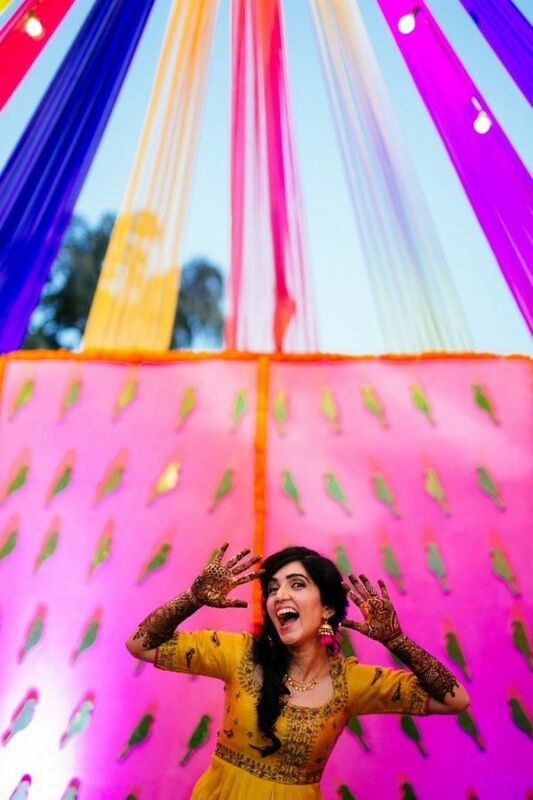 A fun, quirky and colourful event, the decor and the mood of the Delhi wedding was just so vivacious! 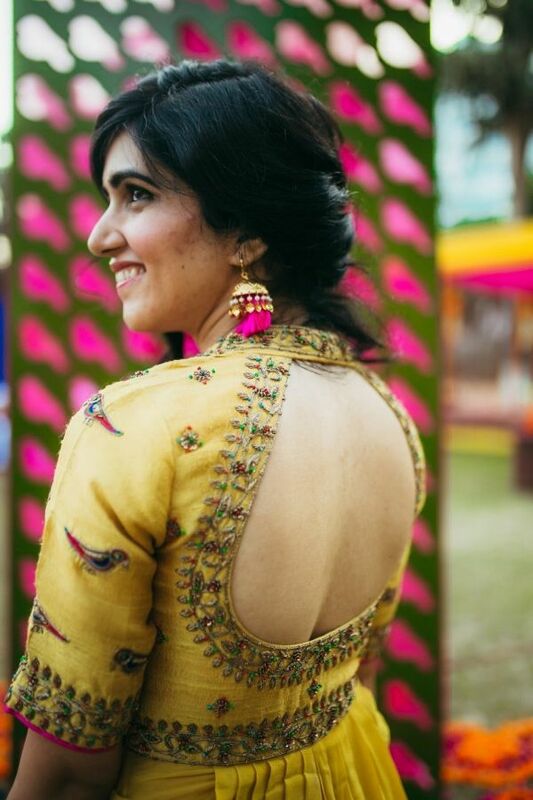 The bride dressed up in a gorgeous yellow suit for the mehendi and looked absolutely pretty. 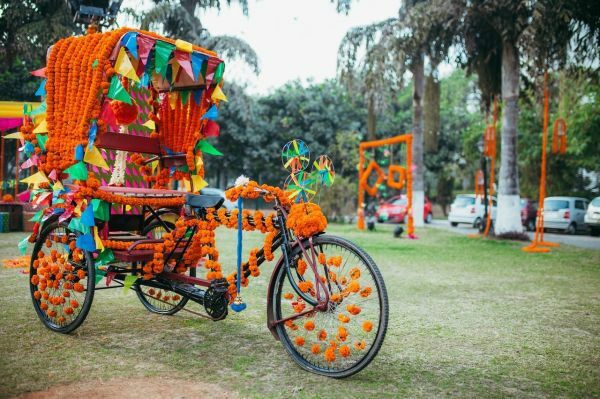 The entrance was decorated with strings of genda phool and a rickshaw prop served as the perfect photo prop! There are day weddings, then there are beautiful day weddings and then there is THIS. 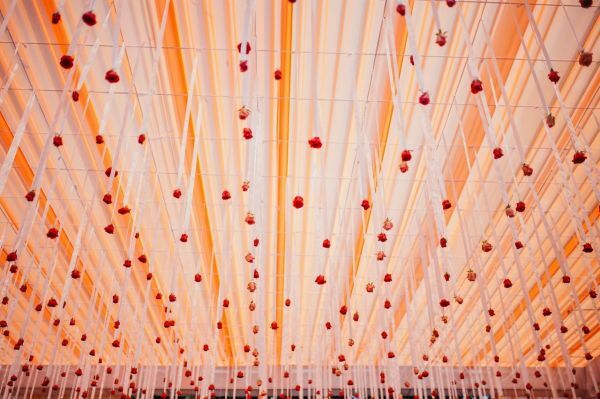 Most people opt bright themes like pink, blue or orange for morning functions. 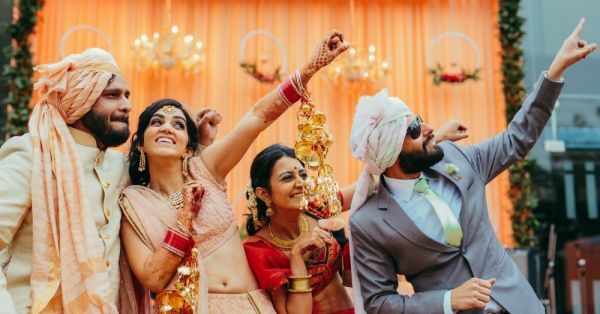 But Pallavi and Ayush went a step ahead to make their wedding a graceful and elegant affair. 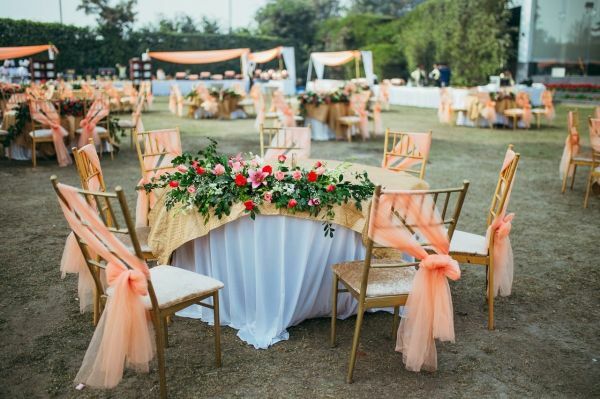 The theme was soft pastels and hues like baby pink and light peach added all the charm to the venue. 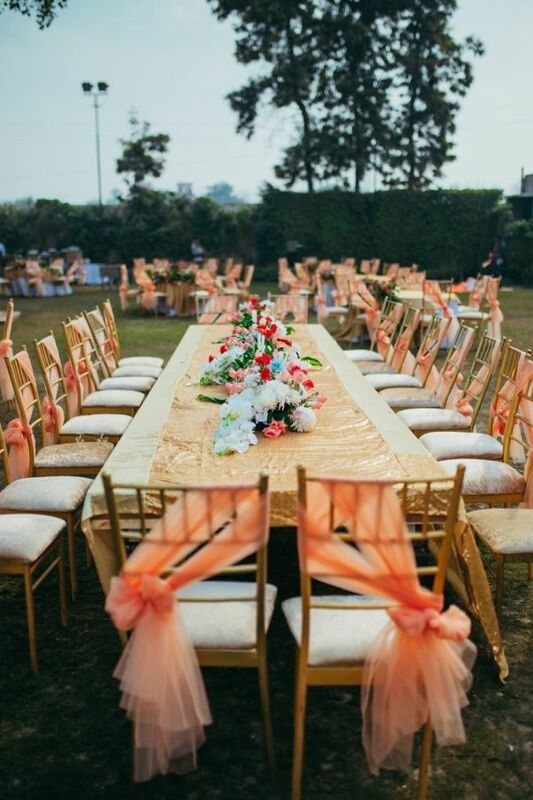 From the chair drapes to the long table setting and the floral table runner… Every detail of the decor was truly beautiful. 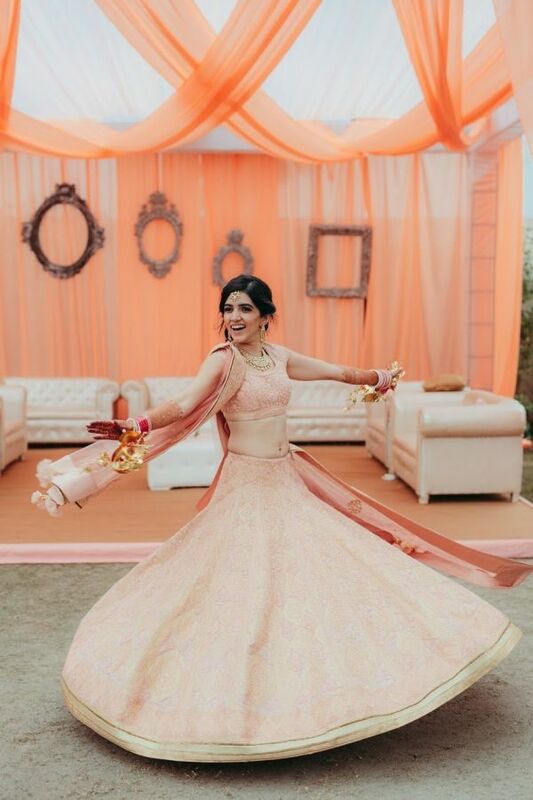 In love with Pallavi’s baby pink lehenga? 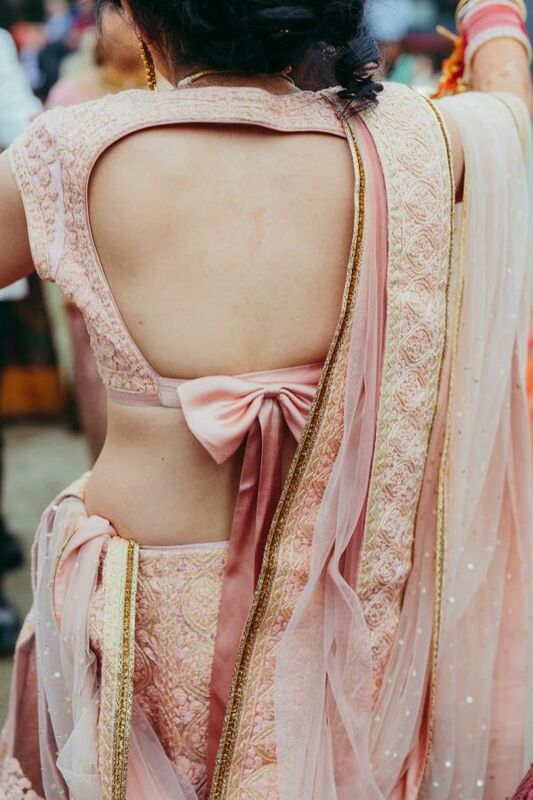 We found a gorgeous sequinned baby pink lehenga on Pernia’s Pop-Up Shop which we think you will absolutely adore! It’s available for Rs 56,800. 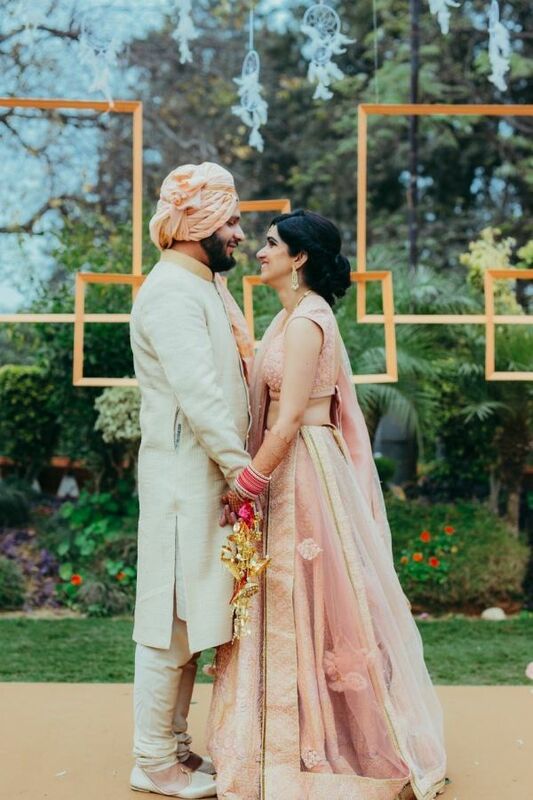 Once again, Pallavi and Ayush kept the theme in mind when picking their (perfectly coordinated) light pink outfits. 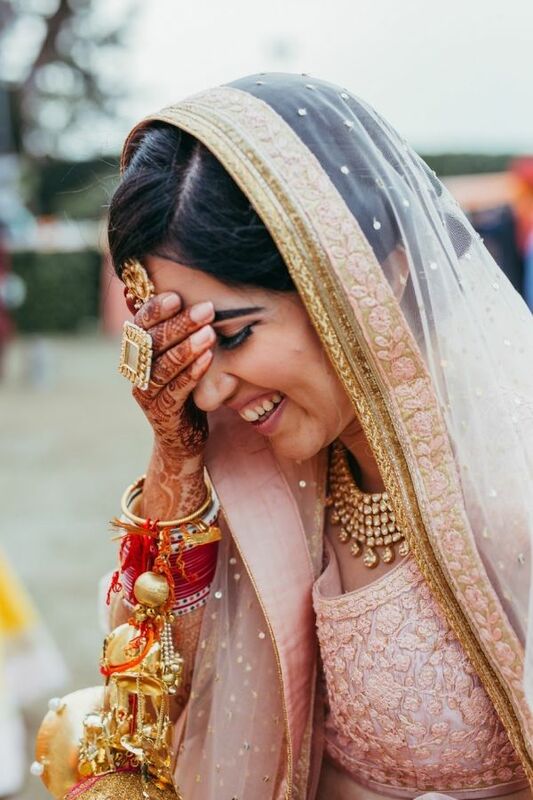 The bride gave the classic bridal colours like red and magenta a miss and opted for a subtle pink lehenga. 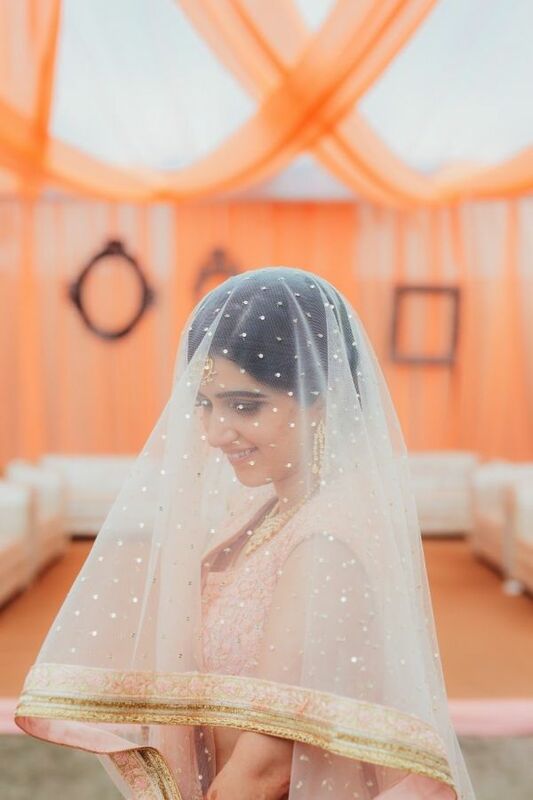 The frilly latkans, the bow blouse back and her delicate veil made her look like a true princess. Gorgeous bride with gorgeous kaleeras much? Buy similar ones for your sister or friend (or yourself) for Rs 1,799 on Amazon! 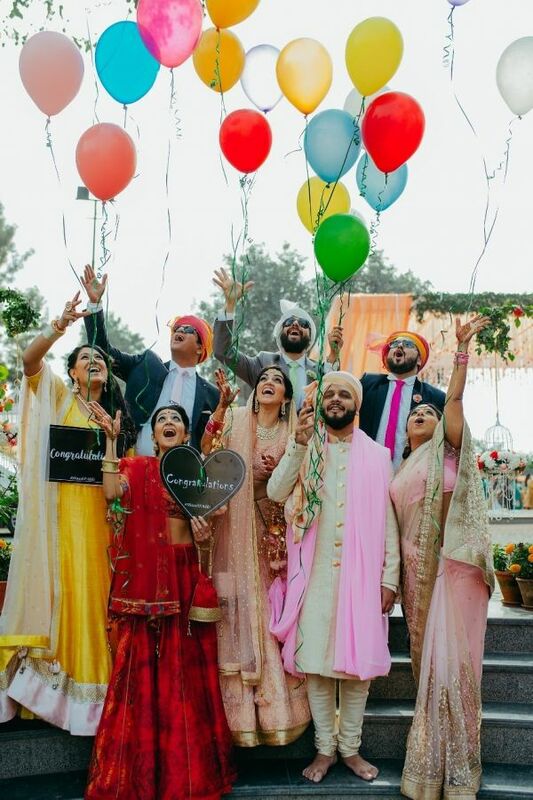 Such an adorable way to send off the bride & the groom!! Lots of love and luck to the gorgeous couple! !